The Kingdom of Denmark-Norway had long remained neutral in the Napoleonic Wars. England, however, feared that Napoleon would attempt to conquer the Danish-Norwegian naval fleet. In a move to prevent this from happening, England attacked Copenhagen and abducted the naval fleet in September 1807. The fleet robbery drew Denmark-Norway into the war on the side of Napoleon. In August 1810, Marshal of France Jean Baptiste Bernadotte was elected heir apparent to the Swedish throne. He took the name Carl Johan and rapidly assumed a leading role in Swedish foreign policy. It was widely believed that the French marshal would support Napoleon, but instead Sweden entered the war on the side of England and Russia. 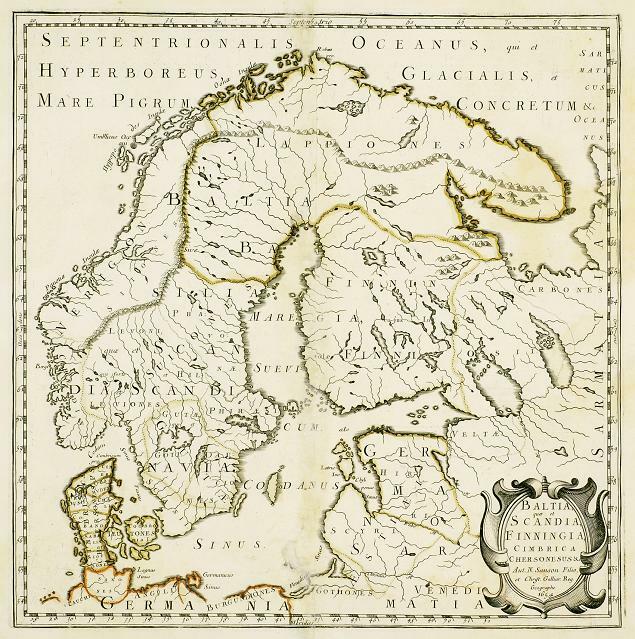 Carl Johan also had his own plans: Sweden had lost Finland to Russia in 1809, and he wanted to compensate for this loss by acquiring Norway. To achieve this he would need to join the alliance against Denmark. Carl Johan worked hard to convince the major European powers that Denmark, upon its defeat, should be forced to cede Norway to Sweden. He gained the support of the tsar in a separate treaty, and in 1813 England also agreed not to oppose the ceding of Norway to Sweden. However, the treaty stipulated that the process should be conducted with all possible leniency and with due regard for the happiness and freedom of the Norwegian people. Napoleons forces were greatly diminished from the catastrophic campaign against Moscow in 1812. In October 1813 Napoleon suffered yet another defeat at Leipzig. After this loss, Denmark became the target of extensive diplomatic and military pressure. The northern army, under the command of Carl Johan, occupied the Danish-German duchies of Slesvig and Holstein, and Frederik VI, fearing further advancements, agreed to Carl Johans demands in return for immediate withdrawal from the Danish areas and compensation in the form of Swedish holdings in Pomerania, the island of Rügen and one million rix-dollars. King Frederik VI of Denmark ceded Norway to Sweden in the Treaty of Kiel of 14 January 1814. The Norwegian dependencies of Iceland, the Faeroe Islands and Greenland were not covered by the treaty and remained in the possession of Denmark. In theory Norway had gone from being a possession of the Danish king to a new subordinate role under King Carl XIII of Sweden. In practice, however, a political vacuum had arisen; while Danish authorities no longer exercised power in Norway, a Swedish presence had not yet been established. Norway refused to accept the terms of the Kiel Treaty. The Danish king had relinquished his claim on Norway for all time. Therefore, Norway maintained that sovereignty had reverted to the Norwegian people and that the nation should be able to choose its own path. Carl Johan invaded Norway in July 1814 and quickly suppressed the Norwegian forces. On 14 August 1814 a peace treaty was signed in Moss, and following negotiations conducted throughout the autumn, Norway entered into a union with Sweden. However, between the signing of the Kiel Treaty in January and the establishment of the union, several significant events had taken place: Norway had managed to join the union as an independent state with its own constitution, and for a few months it had once again had its own king –Prince Christian Frederik of Denmark.